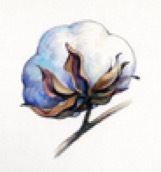 Benefits | Southern Southeastern, Inc.
WE PROVIDE A CONNECTION BETWEEN AGRIBUSINESS AND THE COTTON INDUSTRY. *Associate Members receive E-mails containing marketing information, commodity updates, and action request. *Companies will receive a copy of our Gin Roster, which is a directory of all member gins, as well as all gins in the Southeast. It also includes listings for all Associate Members and Board of Directors. *Our website, www.southern-southeastern.org provides a "members only" area that contains an online directory, as well as, other useful information pertinent to the industry. *Associate Members are also encouraged to be a sponsor at our annual meetings held in January each year. Your advertisement in our Viewpoints magazine will reach approximately 15,000 producers and ginners in the Southeast and the Cotton Belt.